If you have ever had a scar, then laser treatment is something you may have considered. But – as with any procedure – it’s good to do your research before proceeding. The aim of this article is to do exactly that. It will answer basic questions such as “What is laser treatment for scars?”, “What are the benefits?”, “What are the side effects”, and “What are the alternatives?” By the end of this article you will have a comprehensive understanding of the basics of laser treatment. What is laser treatment for scars? Put simply, the lasers burn away the damaged layers of skin. It may seem counterintuitive to burn away scars, in particular if the scar is from a burn itself, however the fact is that lasers are so precise, that only the unwanted layers of skin are targeted. Furthermore, this process stimulates the body’s natural ability to heal. Are there different types of laser? The word “ablative” comes from the Latin “ablativus” which means “to take away”. In other words, this type of laser removes layers of skin. Examples of ablative lasers are the carbon dioxide (CO2) laser and the erbium laser. (Source: Mayo Clinic). This type of laser can be of particular use in treating wrinkles, as it causes a minor burn, subsequently prompting the skin to heal itself. The resulting new lasers of skin are tighter and smoother than before, diminishing the appearance of winkles (Source: Phoenix Society). As the name suggests, this type of laser does not remove layers of skin. By contrast, this laser stimulates skin and collagen growth. What are the benefits of laser treatment? There are many benefits to laser treatment. First and foremost, it can reduce the visibility of scars, as well as minimize scarring. Scar prevention further of abnormal scarring can possibly be achieved when laser treatment is performed prior to scar formation, thus “pre-empting” the appearance of the scar. Second, it can reduce scar pain and itching. Third, by reducing scarring, it can increase the range of motion. Of course, this only applies to scars which were limiting movement (Source: American Academy of Dermatology). How effective is laser treatment? However, as with any procedure, the outcomes will depend on a variety of factors. The experience and training of the surgeon is, of course, essential. Knowing which type of laser to use, in which circumstances, and when, are all vital decisions, so having an experienced surgeon will help to ensure the right decisions are made. For example, non-ablative lasers are more appropriate during the development phase of scars, whereas different types of laser are more appropriate after scar maturation. What are the side effects of laser therapy? Because of this, it is strongly recommended that an appropriately trained and qualified surgeon is chosen. This will help to reduce the chances of negative side effects. 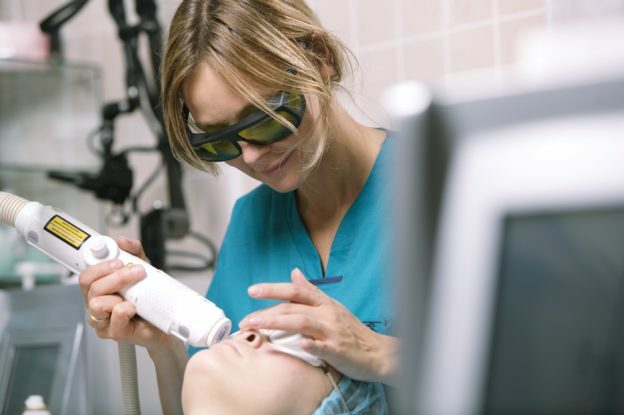 Are there any alternatives to laser therapy? There are several alternatives to laser therapy. These include chemical peels, filler injections, surgical scar revision, and dermabrasion. Read more about scar treatment options. The correct choice for you will depend on your type of scar and specific circumstances. An experienced and well qualified plastic surgeon can help you make the correct decision. If you are looking for a plastic surgeon for scars in Miami, then you may want to consider Dr. Thomas Zaydon. Dr. Zaydon has many years of experience removing and reducing the appearance and symptoms of scars and scar tissue. Read more about Dr. Zaydon in his role as a plastic surgeon expert witness, workers’ compensation plastic surgeon, or Contact Us. 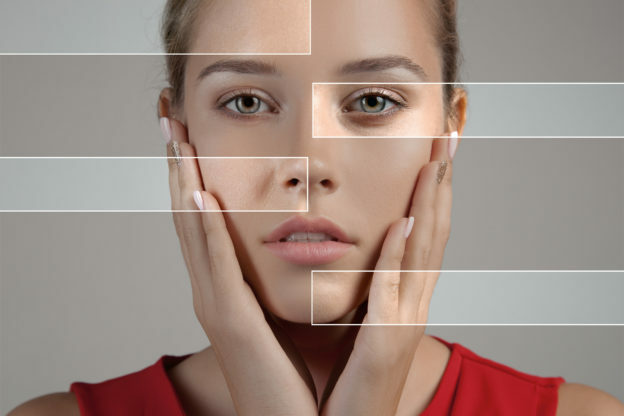 This entry was posted in plastic surgery for scars Miami on June 26, 2018 by kpeacy. Did you know that Burn Awareness Week was in February? So if you are like most people, you probably missed it and perhaps didn’t even know it existed. However, anyone who has had the misfortune to get seriously burned will know that burns are not so easy to forget – even more so when they live a lasting visual reminder – a scar. What type of burn are there? These are the least serious. They only affect the epidermis (outside layer of the skin) and do not leave any lasting scars. This type of burn is slightly more serious. It goes deeper than just the epidermis – affecting also the dermis. If the burn is a ‘superficial partial thickness’ burn, then it usually heals in around three weeks without leaving a scar. However, if it is a ‘deep partial thickness’ burn, then it may well leave a scar. As you may have guessed, this is the most serious type of burn. It goes deeper than the dermis and may even affect the underlying tissue. This type of burn will most definitely leave a scar. Prevention of burns is of course the ideal scenario. Workplaces should ensure they take all reasonable and appropriate measures to reduce the chances of burn injuries. For example, they should ensure that employees are wearing the appropriate clothing and equipment, plus ensure that suitable barricades and protection are present. See a full list of OSHA recommendations regarding burn prevention. The sooner a burn is treated, the lower the chance of permanent scarring. For this reason, it is important to see a doctor as soon as possible following your burn. In the event that your burn ends up leaving a permanent scar, then you may wish to speak with Dr. Zaydon who offers plastic surgery for scars in Miami. If your burn was sustained while performing work duties, it is likely covered under your employer’s workers’ compensation insurance. In this scenario, you are usually entitled to medical treatment to return to you your Maximum Medical Improvement. In the case of scars, it would require attempting to remove the scar, as it was not previously present prior to the injury. Speak with our Workers Compensation Plastic Surgeon for more information. Burns are – excuse the pun – not a hot topic. However, they should be. They can leave very visual reminders of the accident, especially if they are sustained on the face or other very visible parts of the body. For this reason, we should remember Burn Awareness Week and make every effort to reduce the chance of burns both in the workplace and in domestic settings. Dr. Zaydon has extensive experience treating a variety of burns. They range from hot tub/spa burns, hot water, tea, chili burns, electrical shock burns, laser hair removal burns, CO2 laser burns, and home accident burns (kitchen – plug in heater burns) among others. If you would like more information about this topic, please Contact Us. We will be happy to give you more information about the treatment options regarding plastic surgery for burns in Miami. This entry was posted in plastic surgery for scars Miami and tagged Plastic surgeon for burns Miami on March 24, 2018 by kpeacy. According to data from DMV Florida, every year in Miami Dade County there are between 40 and 50 thousand car accidents. Fortunately, many of these do not result in injuries, however not everyone is so lucky. For those who are injured, they normally proceed to an Emergency Room or an Urgent Care Center where they are evaluated. Depending on the injuries sustained, they may be referred to a specialist. This is also true for patients requiring plastic surgery following an auto accident. But did you know these 3 things about it? Read on to find out! Florida PIP (aka “no fault”) insurance covers 80% of the first $10,000 of your medical bills if you are injured in an auto accident. If you have sustained injuries which require plastic surgery, then the insurance money can be used to help return your body to its pre-injury state. For example, if your head hits the steering wheel, or the windscreen shatters and cuts your skin, then you may end up with a scar. This is where plastic surgery for scars – including plastic surgery for scars in Miami – is extremely beneficial. There are many types of scar revision procedures available, so if you have a scar from an auto injury, you should speak with a Plastic Surgery Consultant about which procedure is most appropriate for you. In recent years the Florida PIP laws were changed to limit the number of people belatedly seeking medical help following an auto injury. As a result, patients now only have 14 days to report their injuries. For this reason, it’s important to visit a medical provider within 14 days of your accident. You may still receive medical treatment after 14 days, but the PIP insurance money ($10,000) will only be available to cover the injuries reported within the 14 day window. 3. Not sure if your auto injury requires plastic surgery? Ask for a review. For patients who are not sure if their injury requires plastic surgery – or if it would be covered by PIP insurance – it is possible to schedule a consultation with a Plastic Surgery Consultant who can provide an expert opinion about such matters. For example, insurance companies, attorneys, and patients often ask Dr. Zaydon to act as a Plastic Surgery Expert Witness, or provide Plastic Surgery Independent Medical Evaluations or Plastic Surgery Peer Review for cases which require an expert medical opinion. Read more about Dr. Zaydon and his role as a Plastic Surgery Consultant, Plastic Surgery for Scars, or alternatively feel free to Contact Us. This entry was posted in plastic surgery for scars Miami and tagged plastic surgery consultant' plastic surgery expert witness' plastic surgery independent medical evaluations' plastic surgery peer reviews', plastic surgery for scars Miami' on January 26, 2018 by kpeacy. The following article was featured in the Miami Herald, authored by Fred Tasker. In better economic times, some in search of youth and beauty thought nothing of plunking down four figures for a cosmetic procedure. These days, tummy tucks are on sale. What’s more, recent figures from the American Society for Aesthetic Plastic Surgery say the number of cosmetic procedures in the U.S. – from eyelid lifts to liposuction – fell by 17 percent from 2008 to 2009. “It’s the economy. People don’t have the disposable income,” said a Miami plastic surgeon. Doctors say people are not giving up the desire to look better. They’re just trying to do it on the cheap. Many face a double whammy. They can’t afford plastic surgery in today’s economy, but they feel even greater pressure to look fit and youthful to compete in a more-competitive job market. So they’re opting for what doctors call “tide-you-over” procedures. Doctors say 30-to-50ish women and men are putting off $8,000 face-lifts and opting for $400 Botox injections. In fact, last year’s 17 percent drop was in expensive plastic surgeries such as face-lifts. Less-expensive nonsurgical cosmetic procedures like chemical peels and fat injections were actually up a bit. Even some patients who can afford plastic surgery are holding off because they don’t dare take time off work for fear of losing their jobs, Zaydon said. They can go back the next day after Botox injections to smooth frown lines. For similar reasons, some men are putting off $5,000 hair transplants for $49.95 bottles of Rogaine. Hair transplants dropped nearly 2 percent between 2006 and 2008, according to the International Society of Hair Restoration Surgeons. But hair is still important to men, said Dr. Bernard Nusbaum, a Coral Gables transplant surgeon. One non-economic reason that cosmetic procedures are down might be the dwindling number of plastic-surgery-themed TV shows. Reality shows Extreme Makeover, The Swan and Miami Clice have all been off the air for several years, and the final episode of the F/X drama Nip/Tuck aired earlier this month. Did the shows encourage people to get plastic surgery? Plastic Surgery Institute founder, Dr. Thomas J. Zaydon, M.D. F.A.C.S, has been rendering professional expert witness and plastic surgery services in the Miami, Florida area for over twenty years. 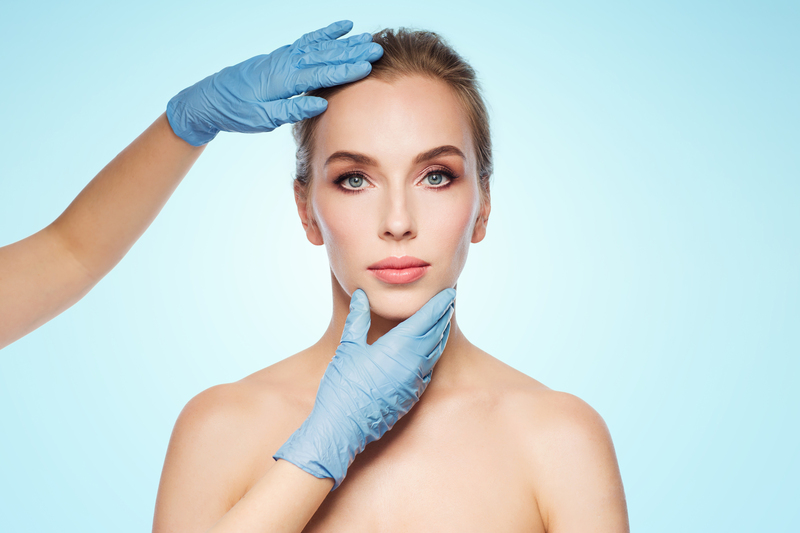 In addition to face lifts and other cosmetic procedures, he specializes in working as a workers compensation plastic surgeon, including plastic surgery for scars. Dr. Zaydon is also certified as an Expert Medical Advisor and often serves as an expert witness plastic surgeon. Read more about Dr. Zaydon or Contact Us. This entry was posted in plastic surgery for scars Miami on November 21, 2017 by kpeacy. Plastic surgery for scars Miami – Scars can be undesirable for several reasons. Obviously, from a visual perspective, they can create a certain amount of self-consciousness, especially if they are in a very visible location, such as the face. They may also have some physical symptoms, such as itchiness or pain. But enough about the problems…can anything be done? Can scars actually be removed? Can plastic surgery remove scars? The answer is “yes, but not entirely.” Plastic surgery can reduce the size of a scar, however it cannot totally remove it. This is because the process of removing a scar cannot return the skin to its original state. A scar – by definition – is permanent damage to the skin following an injury or surgery. However, procedures are constantly improving, so the degree to which scars can be made less noticeable are increasing year-on-year. How can plastic surgery remove scars? Chemical Peels. If your scar is not too deep – that is to say only affecting the upper layers of the skin – then this may be a suitable procedure. It works by causing the epidermis to peel off, so in effect exfoliating the skin. Then new skin will grow back, ideally leaving the scar less noticeable than it previously was. Filler Injections / Soft Tissue Fillers. This procedure is considered most appropriate for indented scars. In other words, scars which do not stick out, but instead are indented into the skin. Collagen or other suitable fillers are used to literally ‘fill the indentation’, subsequently raising it to the level of the rest of the skin, thus making it less noticeable. Surgical Scar Revision. This is the process of surgically removing the scar and then rejoining the layers of skin. It cannot totally remove the scar, but can decrease the length or width of a scar. Dermabrasion. Similar to chemical peels, this procedure is most appropriate for scars which are not too deep. The process, similar to exfoliation, uses a dermabrasion machine to remove the top layers of the skin (where the scarring is), subsequently leaving the undamaged lower layers of the skin, resulting in a ‘polished’ or untainted appearance. Read more about Dr. Zaydon in his role as a plastic surgeon expert witness, workers’ compensation plastic surgeon, and plastic surgeon for scars in Miami. This entry was posted in plastic surgery for scars Miami on March 23, 2017 by kpeacy.